A Perfect Ten Stars!! Brilliant and Horrifying!! Brilliant puzzles, beautiful graphics, a sometimes quirky sense of humor shining through in spots, a different take on the Dracula legend and a very Holmesian hero in Van Helsing. I still catch myself saying, "I am in need of something" or "Perfect! Now, on to the next thing!" absolutely brilliant - I loved this game. A lot of different and unique puzzles, really quite long, and you aren't allowed to leave an area if you need to pick up an item. For clues in a scene just hit the space bar to see 'hot spots'. I wish there was an option to turn off the music without turning off the voices. It isn't a 360 spinner game (good) but you do have to make sure you hit every' footprints'- easy to miss some scenes (but the space bar helps you out with this) It has a completely different style of gameplay than HOPAs. It's more difficult and challenging than them. So if you are looking for that then this isn't for you. 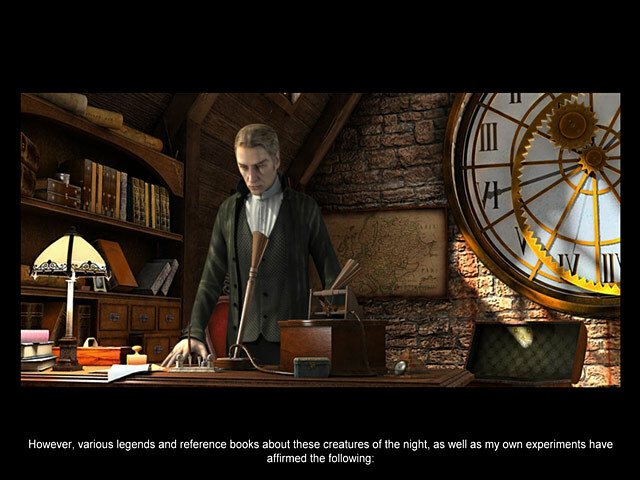 I would recommend you search online for a walkthrough, and look at the very beginning for instructions on how to play it - how to use journal etc, move around etc. I wouldn't recommend this for kids or for the very faint of heart - I will place a spoiler alert at the very end of the review so you don't need to read it if you don't want to. I played this on windows 7, with no tech problems. And I have had quite a few tech problems with other large file games here. Really recommend this game. spoiler alert (sorry can't white things out here)- There is a scene later in the game with a trapped monk in a cage and other monks. you don't see anything but are aware of what is happening, it was a bit gruesome. There was some blood on the ground - but it wasn't very realistic in other part as well. I am 61 years old and I loved this game. Very challenging and fun. Graphics are great but I did have a hard time finding the hook in one scene. Hope another comes out like this. This was my first Large File download on BF. I haven't played these types of games in years, and without a demo I've shied away from trying something that might turn out to be a disappointment. This type of game is not your same old same old Hidden Object junk that permeates BF. 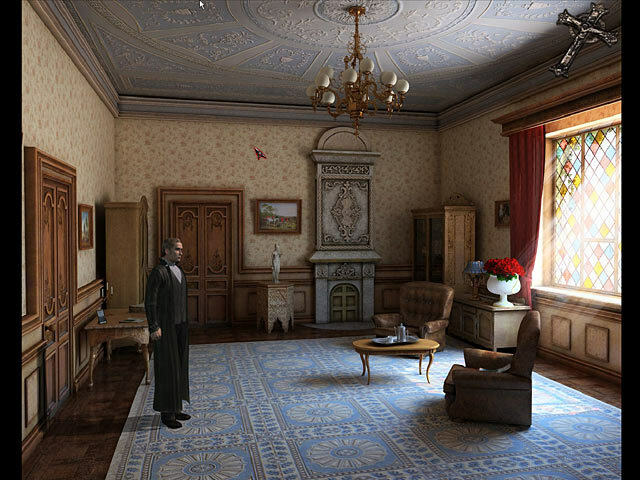 It's a first-person point and click interactive game that makes you THINK. It's one giant puzzle that you have to figure out in order to move forward in the game. It brings me back to the old days of games like MYST and I enjoyed every minute of it. The music and ambient sounds were excellent and the graphics were impressive. The voice-overs were well done and although the dialogue could be tedious to wait through, you're able to left-click to skip over if you prefer to read the dialogue instead. 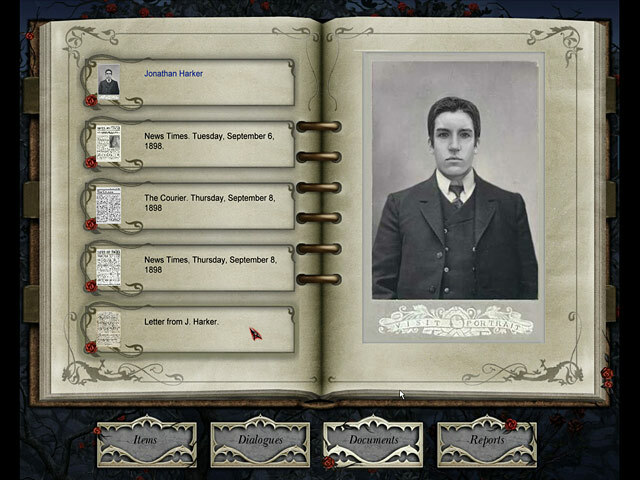 The journal is neatly ordered so it's easy to look for specific notes you need to review to solve puzzles. Having played these types of games in the past it was easy for me to figure out the ESC button took you to the menu or that spacebar helps with the footprints/hints. Overall I highly recommend this game for people who like this sort of adventure. If you are looking for a mindless HO game, where it doesn't require you to use your noggin, then this game is certainly not for you. This game was very challenging, but absolutely fantastic! I did have to resort to the walkthrough for some of the more difficult puzzles. Absolutely recommend this game! Really enjoyed this game. Was hard in parts and had too use the walkthrough, expecially as there is not much in the way of explanation and hints on the puzzles, but overall really enjoyed it, super long which is great. On the look out for another similar now... recommend. Graphics are excellent. Environment is perfect! Characters - decent animation and voice acting. Puzzles - some simple, others challenging- a good mix Story was actually pretty decent when compared to others - flowed very nicely. Game mechanics are fairly intuitive, A brief overview at the start would have helped for newer adventure gamers. Inventory items must sometimes be combined. Press the Space Bar for Hints! For puzzles, part of the challenge is in simply figuring out how the puzzle works and what you must do to solve it. (Only one puzzle near the very end stumped me.) There is a bit of tongue-in-cheek humor in this game and there is one occasion where you really must stretch your imagination. LOL (beaver cadaver!!!) Overall - excellent adventure game!